Ronnie Walter Cunningham (born March 16, 1932), (Col, USMCR, Ret. 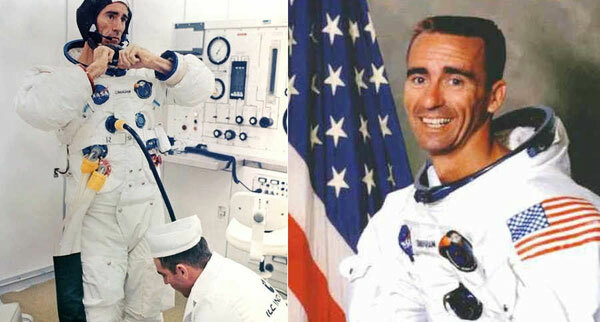 ), better known as Walter Cunningham, is a retired American astronaut. In 1968, he was a Lunar Module Pilot on the Apollo 7 mission. He was NASA's third civilian astronaut (after Neil Armstrong and Elliot See), and has also been a fighter pilot, physicist, entrepreneur, venture capitalist, and author of The All-American Boys. Walter Cunningham attended UCLA. Teresa Ferraro is the President of East/West Industries, a family-owned, woman-owned small business that was founded in 1968 by her parents Dom and Mary Spinosa and is located in Ronkonkoma, New York. Ms. Ferraro works alongside her brother Joseph Spinosa, VP Business Development, in continuing the legacy set forth by their parents 50 years ago. East/West is globally recognized as a trusted provider of choice for design and manufacturing excellence of aircraft seats and other critical safety components for the industry’s most innovative aircraft. Ms. Ferraro has a 35-year track record of success proving fiscal, strategic and operational leadership and is known for her exceptional interpersonal skills and ability to resolve multiple and complex challenges while motivating staff to peak performance. She recently led the most significant business expansion in East/West history including a move to a new facility that increased the company’s footprint by approximately 50 percent as well as the creation of a hiring plan to expand the workforce by 40 percent in three years. East/West is a federal and state certified Woman-Owned Small Business (WOSB) and Women’s Business Enterprise (WBE). East/West is a three-consecutive year recipient of the Boeing Performance Excellence Award (BPEA) Gold level supplier and most recently selected as 1 of 13,000 suppliers for the prestigious 2018 Boeing Supplier of the Year Award. The company has also received recognition as a Lockheed Martin STAR Supplier and locally awarded the Long Island Business Development Council – Business Commitment Award. East/West is focused in hiring our veteran’s; Long Island has a veteran population of 167,000, more than any other area in New York State. Our commitment is to aid in job opportunities as our veteran’s transition into civilian life. Ms. Ferraro recently received the Leadership Award from Hofstra University Army ROTC Office for her passion and leadership skills within the industry as well as the inaugural Leadership Award from Moxxie, a young women’s mentoring organization. East/West has worked successfully with the Girl Scouts of Suffolk County to develop a STEM Badge Program to expose young women to the opportunities of STEM within business. Tyler Morse is CEO and Managing Partner of MCR. Since co-founding MCR in 2006, Mr. Morse has led the company to its position as the seventh largest hotel owner/operator in the United States. With $2 billion of assets under management, MCR owns and operates 94 hotels (11,264 rooms) located across 67 cities and 24 states. Prior to founding MCR, Mr. Morse served as Assistant to the Chairman and CEO of Starwood Hotels & Resorts (Barry Sternlicht) and contributed to Starwood's overall corporate investment and development initiatives. Mr. Morse was also President of Bliss, the upscale spa and beauty products company based in New York City. Previously, Mr. Morse worked as an investment banker at Morgan Stanley in its Financial Sponsors and Mergers and Acquisitions Group. He started his career at Ernst & Young LLP, where he earned a CPA. Mr. Morse has also worked as a Ski Instructor at Squaw Valley USA and at Termás de Chillán in Chile, on Ski Patrol at Mammoth Mountain and a Baggage Handler at LAX for Delta Air Lines. 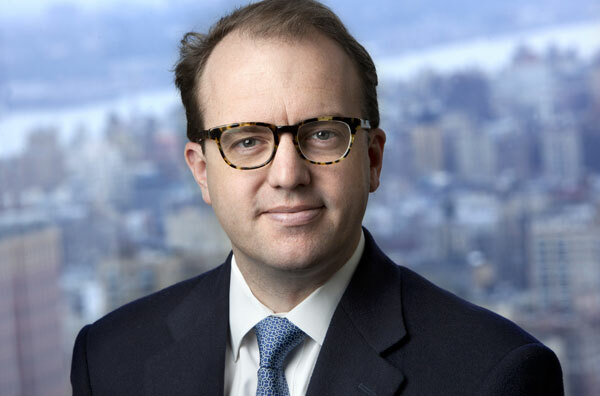 Mr. Morse serves on the Board of Directors of NYC & Company, the convention and visitor arm of New York City. He is a member of the Marriott International (NASDAQ: MAR) Courtyard by Marriott Advisory Board and the Hilton Worldwide (NYSE: HLT) Distribution Advisory Committee. He serves on the Policy Advisory Board for the Fisher Center for Real Estate and Urban Economics at the University of California, Berkeley, Haas School of Business. Mr. Morse is an active member of IREFAC, PREA and NAREIT. He serves as a Trustee on the board of Prep for Prep. Mr. Morse received an MBA from Harvard Business School and a B.S. in Business Administration from the University of California, Berkeley. He lives in New York City with his wife and two daughters.